Sesame Street: The Magical Wand Chase races to November 6. 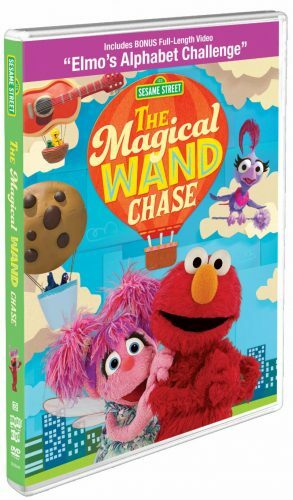 Los Angeles (October 10, 2018) – Winner of the 2018 Primetime Emmy® Award for Outstanding Children’s Program, Sesame Street – The Magical Wand Chase will be available on DVD and digital download on November 6, 2018 from Shout! Factory and Sesame Workshop. The primetime special is filmed in three vibrant New York City neighborhoods and marks the first time the show has shot a feature-length special on location since 1994.